Waterskiing legend and five-time World Jump champion Freddy “The Nightmare” Krueger - not to be confused with the guy who appears in our nightmares - has set a new skifly world record after successfully jumping more than 300 feet, breaking the previous record of 299 feet that ws set back in 2000. More impressively, Krueger managed to pull this off not just once, but twice, hitting 312 feet during a practice run last August 7, 2015 before following it up with a jump of 304 feet during the actual performance the next day. For a little perspective on the enormity of Krueger’s jump, his two jumps were each longer than an actual football field from the start of one end zone all the way to the other. Officials from the Guinness Book of World Records were on hand to see both jumps to make sure that they were completely legitimate. They were and with these two jumps now firmly established in the record books, Krueger now has another addition to the laundry list of accomplishments he has achieved in his long and illustrious career. I don’t know how this ranks compared to his world record for long distance waterski jumping or his five World Jump titles, or his 11 Masters Jump championships, but I’ll venture a guess that it’s somewhere in the middle of it. Of course, Krueger didn’t set the record all by his lonesome. 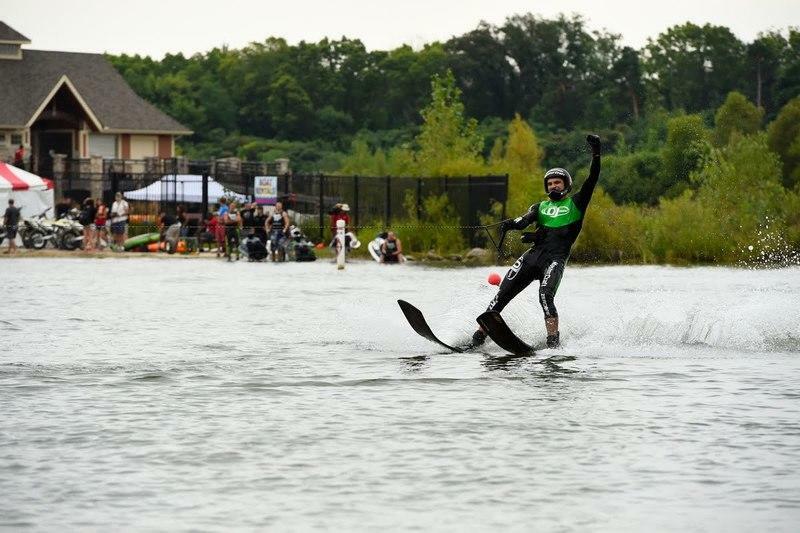 It only feels right to give credit to the MasterCraft ProStar boat that pulled him before his record-setting jump. The ProStar, which in itself is a beautiful boat, relied on its modified 7.4-liter GM Marine engine marinized by Ilmor to reach speeds in excess of 80 mph and allow Krueger to launch off the custom-built ramp on his way to immortality. Continue reading to read more about Freddy Krueger’s new skifly world record. 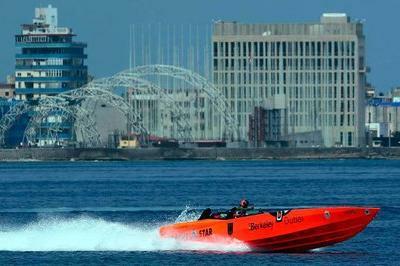 German powerboat racer Roger Klüh has set the Florida-to-Cuba speed run record after covering the 90-mile passage in one hour and 45 minutes. Using a fully restored McManus Superboat fitted with a pair of 1,350-horsepower turbo-charged Mercury engines, Klüh was able to shatter the previous record of six hours and 23 minutes set by American Forest Johnson back in 1958. Yep, it’s been 57 years since anybody has tried breaking the speed run record from Florida to Cuba. The frosty relations between the United States and Cuba made powerboat racing virtually impossible since Johnson’s record-setting run in 1958. That’s the biggest reason why no one ever bothered trying to break it. But now that the two countries have exhibited a willingness to thaw whatever ill will still stands today, the opportunity to once again engage in powerboat racing was the green light Klüh needed to get first dibs on breaking the record. Given how long it’s been since the old record stood, coupled with the advancements in powerboat technology, eclipsing the time set by Johnson was a question of who could do it first. Klüh was the first to attempt and subsequently set a new record by steering his 2,700-horsepower Apache Star powerboat to speeds in excess of 80 knots. The one hour and 45 minutes it took the German is an impressive time, but make no mistake, now that the US and Cuba have their proverbial arms around each other, Klüh won’t be the only powerboat racer to take a stab at this new record. Not to shortchange his accomplishments because history will say that he was the one who smashed a 57-year record. But something tells me that Klüh’s record time of one hour and 45 minutes from Florida to Cuba won’t sit in the record books for another 57 years. Heck, I wouldn’t be surprised if a new record is set in the next 57 days. Continue reading to read more about Roger Klüh’s record-setting Florida-to-Cuba powerboat record run. 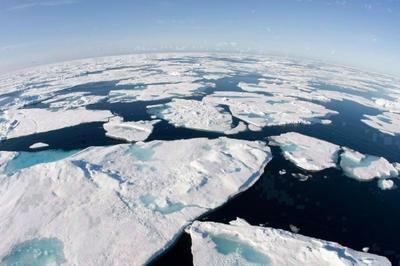 Swiss adventurer Raphaël Domjan and French kayaker Anne Quéméré are planning to navigate the Northwest Passage together and doing so while only relying on a solar-powered kayak. An attempt to pass through that route has been done before, but never in a solar-powered kayak that has been fitted with photo voltaic solar panels that will presumably help power the kayak. The panels will be attached to a 7 kg Torpedo Ultralight 403 outboard engine, considered as the lightest mass-production outboard on the market today. Dangerous attempts like this is nothing new for Domjan, who already counts circumnavigating the world in his resume. But this is a different challenge altogether, even with the help of Quéméré, who herself is no stranger to maritime adventures. The duo plan to set sail from Tuktoyaktuk in the Inuvik Region of the Northwest Territories, Canada all the way to the Pond Inslet on Baffin Bay in the southwest coast of Greenland. Domain and Quéméré are expected to have as much as 20 hours of sunlight per day, which would prove useful if they’re going to accomplish their objective. Should everything beyond their control come together, the two plan to row their kayak for 14 hours a day, reaching speeds in excess of 4.35 miles per hour, allowing them to complete their objective of crossing the Northwest Passage in three months. Continue reading to read more about Raphaël Domjan and Anne Quéméré’s attempt to become the first people to cross the Northwest Passage in an electric-powered kayak. 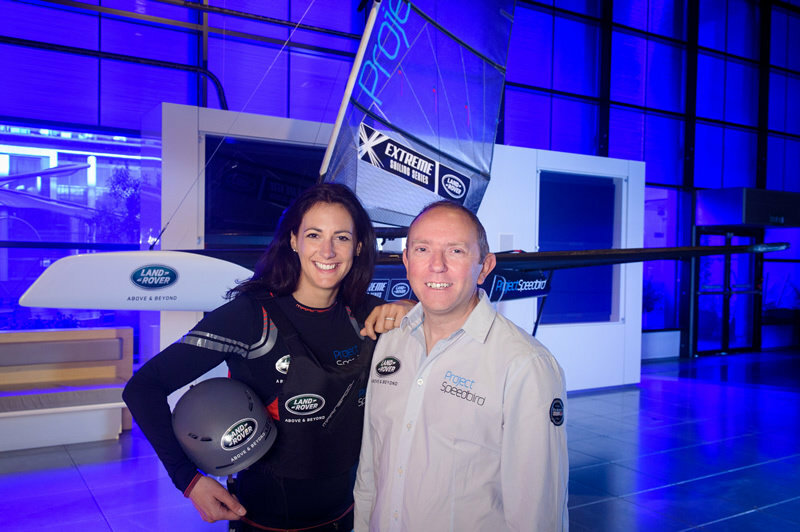 For her record attempt, White has teamed up with Project Speedbird, the team that will be supplying her the Speedbird, a state of the art boat that White will use as she attempts to break the women’s speed record over one nautical mile. She’s also trying to become the first woman in history to set the record above the 40 knot barrier, which is roughly equivalent to 46 mph. That speed may not mean much to land speed records, but it’s been characterized as a holy grail of sorts for women in the boat racing world. It’s a big reason why White and the team over at Project Speedbird are treating this record attempt with the seriousness and gravity it deserves. White, in particular, has set her sights firmly on the prize by taking great lengths to get herself in the best possible physical condition as possible. That includes a lot of training sessions, especially on how to sail the Speedbird using the hydrofoiling moth that engineers used to design the boat. She’s also received positive support and council from some of the sport’s most experienced sailors, many of whom are rooting for White to achieve her record-breaking attempt. Then there’s the issue of physical fitness. While White is already in impressive physical shape, she still needs to do more to get into record-breaking shape. That involves losing close to 10 pounds and developing new muscle groups that she’s going to need if she wants to be successful in her attempt. It helps that her sailing background is in endurance sailing, but that doesn’t mean her attempt will be no less difficult considering that nobody has ever attempted to cross the English Channel using a Moth in the past. It’s going to be a tough record to beat but with the proper training and enough assistance from Project Speedbird, I’m confident that Hannah White will be able to pull it off. Continue reading to read more about Hanna White’s record-setting attempt to become the fastest woman on water. Team Britannia’s audacious attempt to beat the round-the-world powerboat record will not go unnoticed by the public after the team signed a landmark TV deal to let the Discovery Channel document the event as part of a ten-episode television series. The team, which is being led by ocean-racing icon Alan Priddy, will attempt to beat the existing record of 60 days, 23 hours and 49 minutes, currently held by Kiwi Pete Bethune, who set the record in 2008 with his 78-foot powered trimaran. Priddy will be spearheading Team Britannia’s attempt to eclipse Bethune’s time and will have the Discovery Channel documenting the team’s preparations ahead of its November 1 set-off date in Gibraltar, as well as the development, construction, and testing of its 80-foot, torpedo-shaped vessel. According to Priddy, the vessel will be designed with what it calls a “wave-slicing” technology that can cut fuel consumption by as much as 30 percent, which would presumably make the 24,000-mile trip faster and smoother than Bethune’s attempt seven years ago. The team believes that it can make the same trip in about 50 days and it’s making sure to have all its bases covered by fielding an experienced team of powerboat racing champions and wounded military personnel from Team Endeavour. Such an ambitious attempt at a world record shouldn’t go unnoticed by the public. That’s why this deal between Team Britannia, Lime Pictures and the Discovery Channel is an important step towards creating more awareness of the £2.9-million round-the-world record attempt. Continue reading to read more about Team Britannia’s partnership with the Discovery Channel. In a world where cars are held in high regard depending on how powerful their engines are, we sometimes lose perspective on the strength and might of these bad boys. A Bugatti Veyron Super Sport, considered the fastest car on the planet, carries an 8.0-liter W-16 engine that produces 1,200 horsepower and 1,106 lb/ft of torque with a world record top speed of 268 mph. Put that against the Wärtsilä-Sulzer RTA96-C, however, and the supposedly almighty Veyron’s powertrain is reduced to nothing more than a go-kart engine. 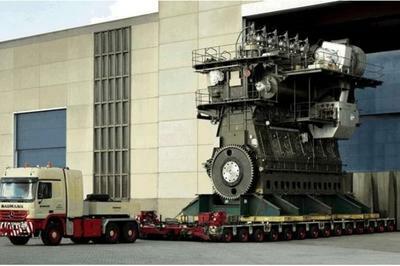 You see, the Wärtsilä-Sulzer RTA96-C carries the distinction of being the world’s largest engine. How large is ’large’, you ask? For starters, each of the 14 cylinders it carries has a displacement of 111,143 cubic inches, which is about 1,820 liters, producing 7,780 horsepower. And that’s just one. Add up all 14 cylinders and you have a total displacement of 1,556,002 cubic inches - that’s 25,480 liters - with a maximum power of 108,920 horsepower at 102 rpm and a peak torque of 5,608,312 lb/ft at 102 rpm. 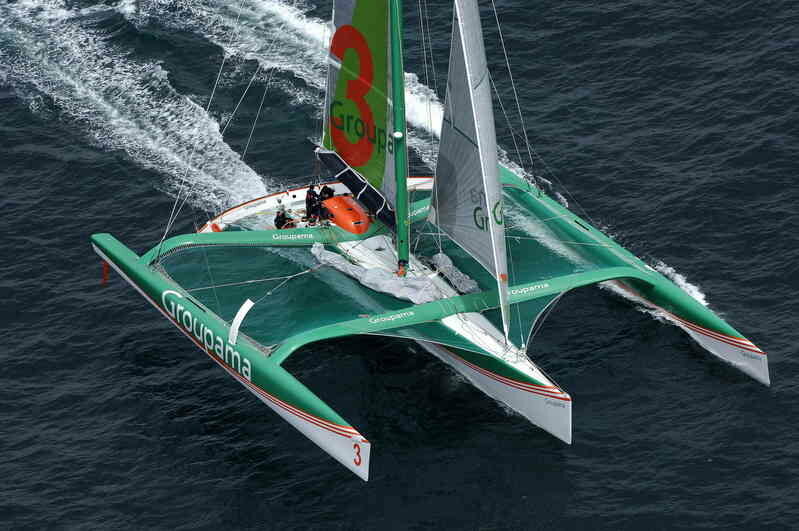 From April to July, Groupama 3 has sailed a remarkable Atlantic tour, racking up four records from four attempts! Starting out as an observer to validate the options of this 32 meter trimaran launched barely a year ago, this modern-day tour has born witness to exceptional success and above all an extremely enriching array of experiences prior to the Jules Verne Trophy scheduled for this coming winter.